My room service arrives with a knock at my door, only it’s not the bellhop, but Molly, the Westcott for Senate campaign’s Assistant Communications Director. She is still wearing the badge around her neck that grants her access to all the private areas that get cordoned off each day, but has changed out of her pantsuit and into hip-hugging capris and a tank top. She wears a silver bracelet around her slender ankle and a tiny stud in her nose that sparkles when she tilts her head. I don’t see the sandwich, but thank Christ, she’s carrying whiskey. Read the full text in Volume #17 of Chicago Quarterly Review. 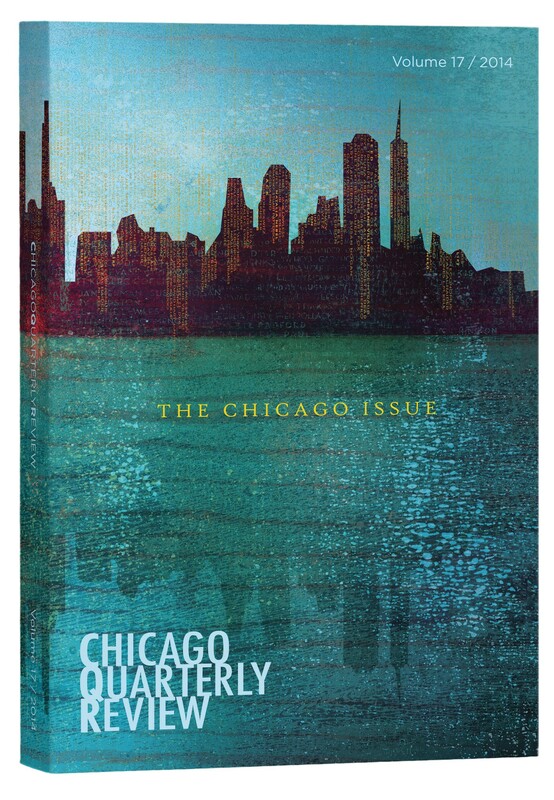 It’s about 380 pages packed with fiction, poetry, art and essay from dozens of talented Chicago writers including Joe Meno, Christine Sneed, Gina Frangello, Micki LeSeuer, Natalia Nebel and Paul Jones.